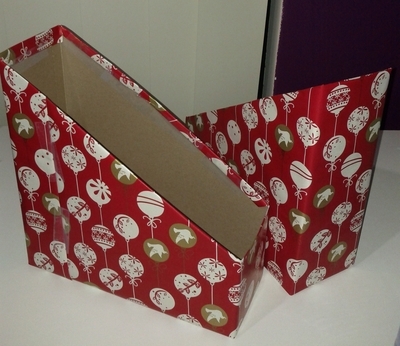 Looking for ideas to make use of empty cereal boxes at home? Here is a great way to recycle them by making some pretty folders. These folders look almost like the ones from the shops and can be so useful. 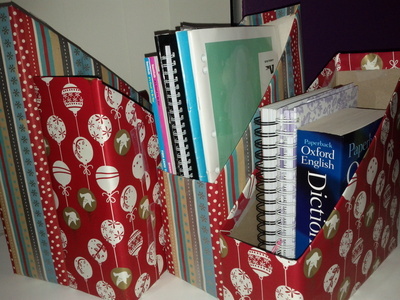 They can then be used to stack children's books, copybooks or magazines. Let the kids add their own personal touch to it by decorating them to their liking. First measure and mark 10 cm long and 30 cm across on one side of the box and repeat on the other side(this is a rough measurement depending on the size of your cereal box). Then cut around the edges. I actually get two folders at this point. 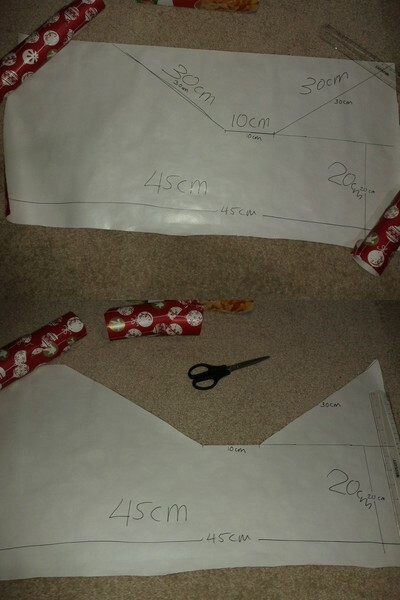 Next, measure the below measurements on your wrapping paper and cut along. 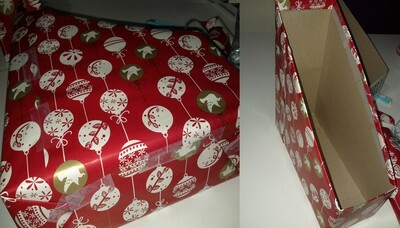 Starting on one end, tape the paper and cover the whole box and seal. Cut all the edges and fold inside and tape all along. Your folder is now ready. A good idea would be to cover the box with white paper and let the kids paint or decorate on them.